Why Should I Apply For Accident Compensation? Accidents happen every day, all around us and these can range from a minor slip or fall to more severe injuries resulting from a car accident. In cases where an accident was caused by someone else, the victim can apply for compensation for the injury and/or damage to their vehicle. The most common types of compensation claims are those involving slips, trips and falls and car accidents. Slips, trips and falls are common within the workplace and may be due to a lack of signage alerting the danger or general negligence by the employer. If you think you may be eligible for compensation, it is worthwhile applying. 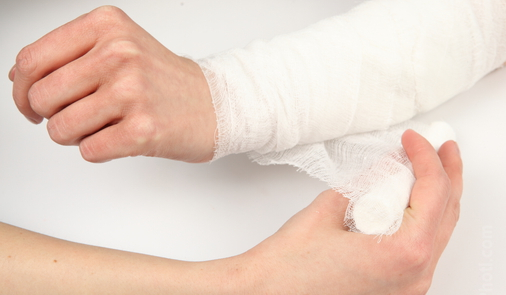 There are several reasons to apply for accident compensation if someone else caused your injury. As the victim of an accident, you have a legal entitlement to make a claim for compensation, so it is worthwhile taking advantage of this right. As long as someone else was at fault for the accident, you can make a claim. There is no guarantee of success with your claim, but it is always worthwhile making it, if you feel you may be eligible. There is certain criteria you need to make before making a claim. This includes the incident occurring within the last three years and evidence to back up your claims. Any type of accident, whether it is severe or not, is a stressful experience for all parties involved. The stress of the incident can be reduced if compensation is given to the victim. The knowledge that you have been compensated for this painful experience can create some peace of mind, which will be much needed in this situation. When stress is combined with physical pain, it can result in a decline in the quality of life for the victim. Anything which can be done to ease this stress, including making a compensation claim, are worthwhile. Applying for compensation can help to ease money worries, as it can cover the costs of expenses you may incur. This might include medical and travel expenses. Worrying about money after an accident can be a huge strain for anyone so the financial aspect of claiming for compensation can help to ease the burden. If the accident has left you out of work, it can be a financial burden, not to mention the negative effect it can have on your mental well-being. The feeling of being out of work and the financial ramifications can be eased if you apply for compensation and get a positive result. With any of these cases, there is never any guarantee that your claim will be successful, but is always worth giving it a try.